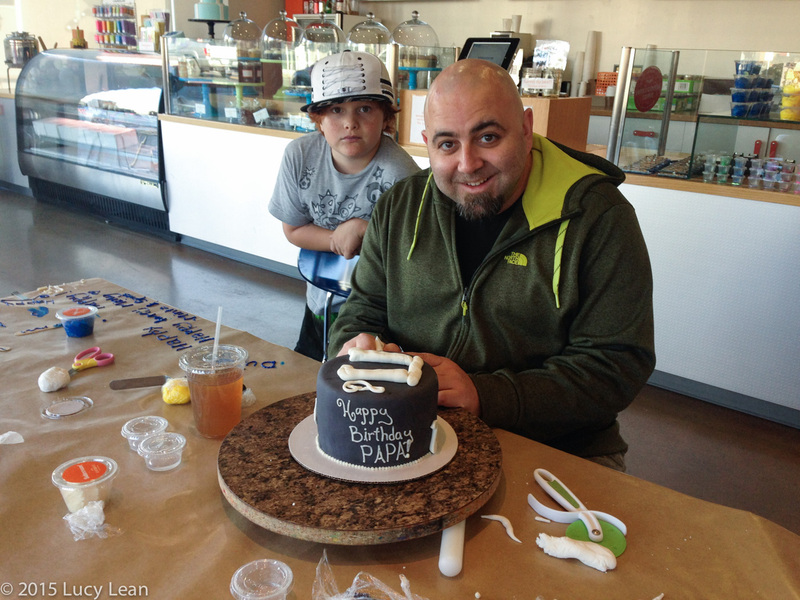 Minty and Rémy called in on the Ace of Cakes himself, cake decorating superstar, Duff Goldman at his store Cakemix for a few expert tips on how to decorate the perfect birthday cake. Minty was interested in finding out from Duff how to get better at piping and in particular writing with the buttercream. 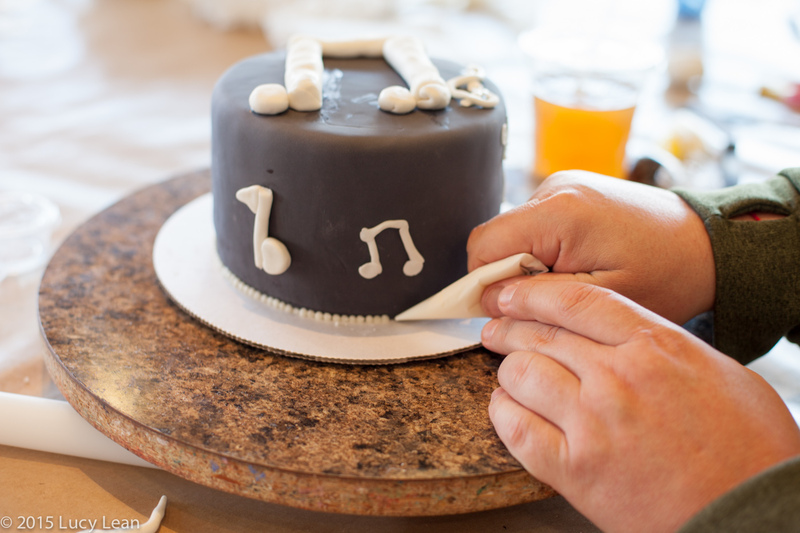 Rémy was interested in creating 3D musical notes to cover his cake for his composer father – as well as attempting to consume more fondant than is healthy for anyone. Along the way Duff shared lots of very interesting facts – like his favorite gummy bear flavor, his favorite guinea pig – and fact: he’s actually allergic to the fluffy critters! Then he challenged Rémy to a round or two of Rock Paper Scissors before things got really fun with a lot of buttercream ‘volcanoes’. 1. For perfect letters keep the pressure on consistently and write quickly. As you get better at it you can move on to cursive. 2. Eat less of the fondant, especially the blue variety that turns your teeth and tongue a shade of toxic royal blue and better to wait to eat the finished cake. 3. Mix up the buttercream to a perfect consistency before putting it in the piping bag. 4. Make little piping bags from a triangle of parchment paper – with the long side facing down you loop one point of the triangle up and over next to the opposite triangle point to form a cone shape and then tuck in the end to hold it in place – Mummy is still figuring it out. 5. 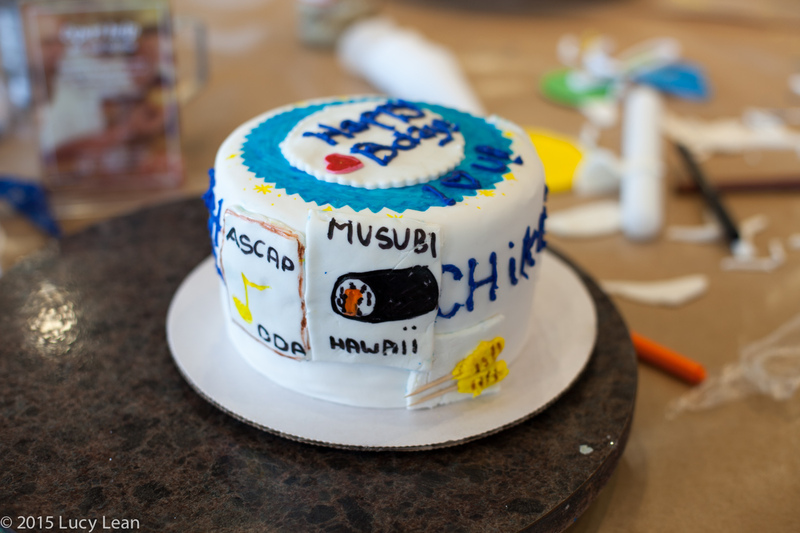 You can always fix a mistake – cover it up with extra fondant or wipe it off and start over. 6. 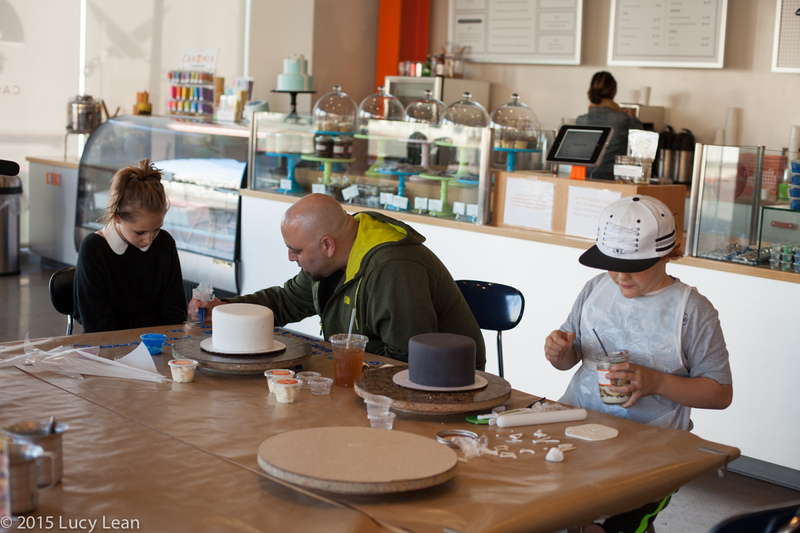 Get creative and have fun – Duff describes Cakemix as an edible art studio where kids and adults of all ages can come and play. 7. 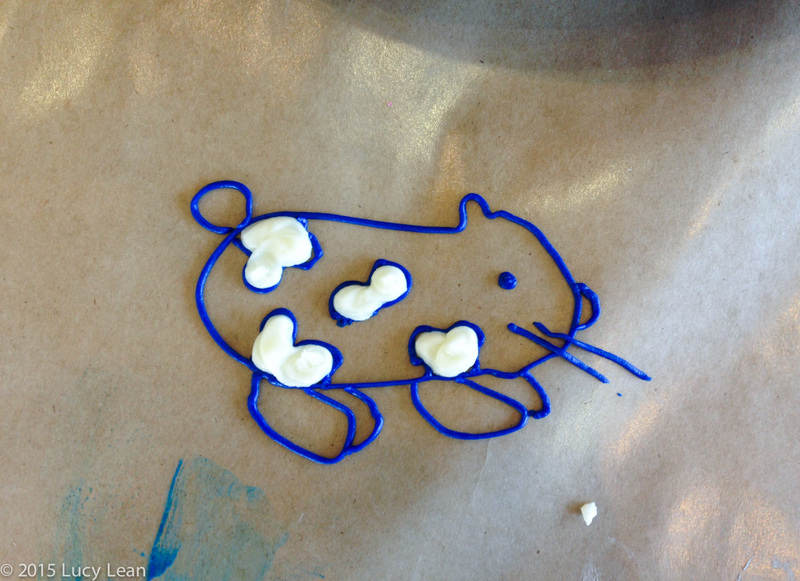 Make little dots using buttercream in a piping bag all around the base of the cake to finish it. Duff gave the kids lots of great advice on how to get better at decorating and explained that, like all things in life, it mostly comes down to good technique and practice. Here’s his sweet little piggy – with whiskers – yes Guinea Pigs do have whiskers Duff – and no Rémy won’t be visiting Peru anytime soon. A big thank you to Duff for taking time out of his crazy schedule to meet with us and also to his great team at Cakemix who helped give us the best time. We can’t wait to come back for more fondant fun! Next time we will bring spicy Taki’s to take the edge off all the sugar. Share your creations with us when you go via Instagram and in the comments below. We loved watching this! How fun and creative! We are for sure going to make Cakemix a top stop when we come to LA! LOVE, LOVE, LOVE this video! The kids are fabulous and Duff was terrific. Great tips, too!